It is a very important time to be alive, the world is shifting into a new paradigm. Our world as we know it is changing, there is a massive growth spurt happening and we are a part of it. We chose to be here at this time, are you conscious to the part you are playing in this global Soul work? This is a time of great expansion, a collective evolution of the people of the earth, and it is long overdue. It is more important than ever now to become consciously aware, we as a human species must begin to better understand the true meaning of our life and work accordingly with the guidance of the Universe to embark on our spiritual revolution. Individually each one of us has a duty to fulfill, working through our karmic obligations should not be ignored any longer. This incarnation has set the bar high, don’t you want to be a part of the New Earth which is stepping forward? If you are here now if you are a part of this world at this present time, then you chose to come and assist in this immense higher conscious movement, it is a very exciting time to be living but there is so much work to be done. We see people all around us suffering from an illness like never before, why is this happening and what can we do about it? Dis-ease comes from stagnant and motionless energy, not only our physical vessel but our spirit and our mind are energy also, if we are burdened with negative energies from other people as well as our environment, if we are not yet conscious enough to be privy to our karmic lessons, then our internal energies become sick and unwell, this is what is causing cancer and other terrible ailments and disorders. The Universe wants us to begin to pay better attention to our habits, our communications, our attachments and our ego minds, what are we doing that is dysfunctional and harming our Soul? We must wake up now, all of us, to the truth of what is happening to our world and our earth, what is it you must begin to take a better conscious look at? 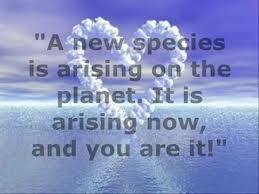 The New Earth needs you to wake up if you want to be a part of it.